Are you experiencing technical faults with your Apple iPod? Regardless of what issues you are experiencing with your Apple iPod, Innovative IT can diagnose and fix them all for you today! With more than 15 years of hands on experience in offering nationwide high quality IT solutions to all types of customers, including corporate clients, home users, students, private and public organizations, Innovative IT can offer you the highest quality services for your Apple iPod. Our Apple iPod London repair center is renowned throughout the UK for its outstanding Apple iPod repair and component replacement services. Innovative IT is the fastest and cheapest Apple iPod repair and component replacement service provider in the UK. 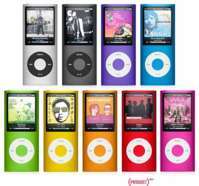 All our professional Apple iPod repair services are offered at incredibly low rates. We are renowned in the UK for being the cheapest Apple iPod repair and component replacement service provider. We are also the fastest Apple iPod service provider, as we complete almost all repair jobs the very same day. If you are in and around London, you can carry your defective Apple iPod to our Central London repair center and we will fix it for you while you wait. Our team of highly skilled and experienced service engineers and technicians will cater to all your Apple iPod repair requirements while you wait. If you find it troubling to bring your defective Apple iPod to our Central London repair centre, we can offer you top quality pick up and delivery services. We will fix your Apple iPod and have it sent back to you in at most 48 hours. Take advantage of our cost effective and high quality solutions today. Just dial us on 020 7394 2525 or email us at info@computerrepairsinlondon.co.uk and our courteous staff will fill you in with all the details you want to know about your iPod repair requirements and repair estimate.